Teenager maintaining hiking trail. 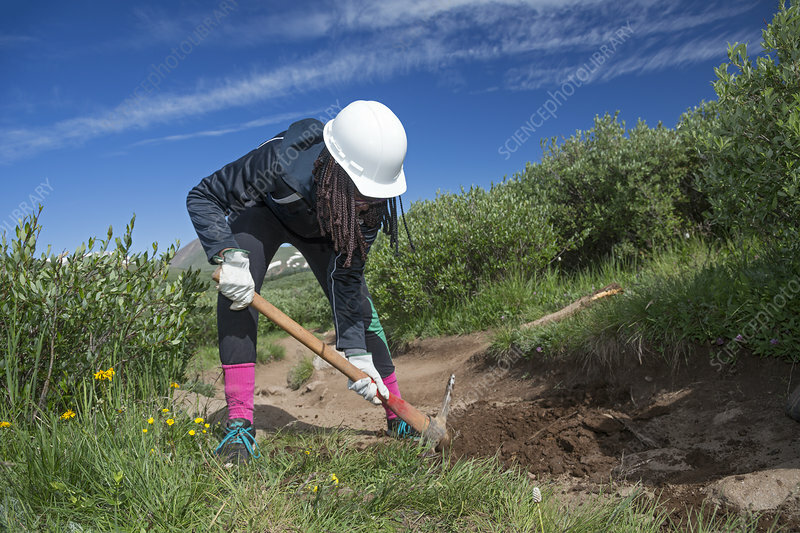 Teenage volunteers working to maintain a hiking trail in a wilderness area in Colorado, USA. This trail is the Mount Bierstadt Trail in the Mount Evans Wilderness Area, near Georgetown, Colorado, USA. The volunteer is part of a YMCA summer camp. Mount Bierstadt is part of the Front Range of the Rocky Mountains. Photographed in July 2015.